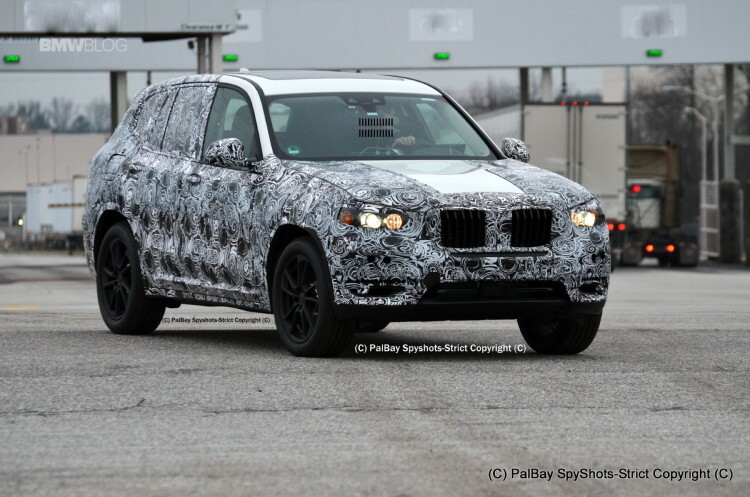 BMW is testing the next-generation G01 X3 on U.S. soil. 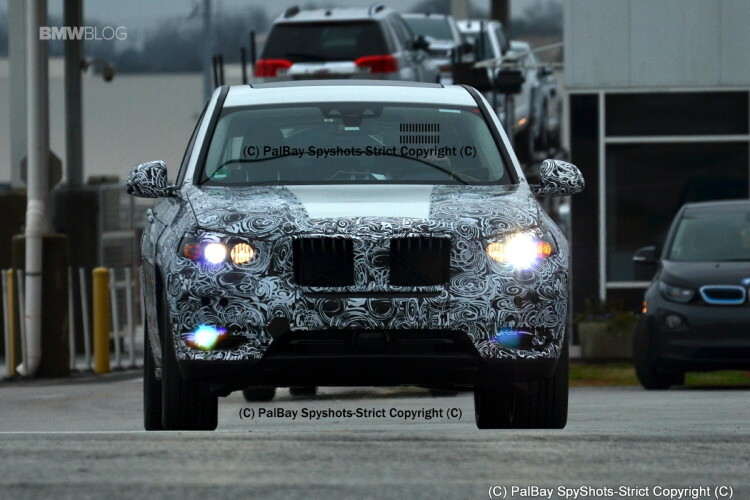 Courtesy of spy photographer Palbay, we bring today exclusive photos of the X3 M40i model. Just like the recently unveiled X4 M40i, the next midsize SUV will get an M Performance model with a Sport Exhaust System finished in Black Chrome, large steering wheel with mounted paddle shifters and some other specific M Sport elements. Along with the more aggressive styling and the sportier interior, the X3 M40i is likely to feature a more powerful engine – a 3.0 liter turbocharged, 355 hp inline-six engine. When it arrives in 2017, the G01 BMW X3 will bring a new design language that will eventually be implemented across the BMW family. Built on the new, rear-wheel drive flexible modular system, the new X3 offers more interior space and a redesigned seating system ensuring higher variability and greater comfort. Sources say the G01 X3 is about 100 kg lighter than the F25 X3. BMW seems to have learned a lesson here and the new X3 is likely to be not only technologically advanced, but also more luxurious. Just like virtually all the other BMW models of the recent past, the third generation of the BMW X3 features a detached infotainment display, which is carried out – most likely – just like the new 7 Series with a touchscreen. The instrument cluster of the X3 prototypes present a partly digital display. Premium features, advanced telematics and safety features, along with a new design, are poised to make the G01 X3 another big seller for the Bavarians. Next post Is the BMW M3/M4 Competition Package worth it?